Experience the raptures of the deep. Dive in a space of sound. Discover SoundSpace! SoundSpace enables you to explore unknown spaces of sound. You can create and remove sounds anywhere in space. Simply move them around to find your own harmonic arrangement. Additionally, you can even adjust their pitch through the gravity sensor. This gives you a lot of possibilites to create unique soundscapes expressing different moods. It is highly recommended to use stereo headphones to enjoy the full stereophonic effects of SoundSpace. 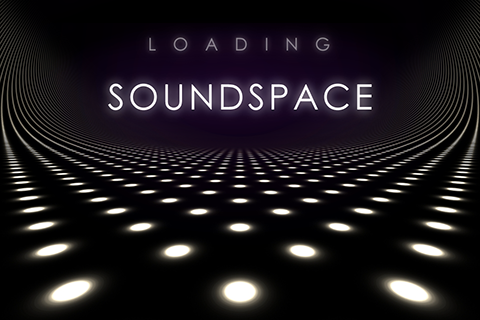 SoundSpace ships with over 50 selected high-quality sounds, covering classic, nature and ambient sounds as well as futuristic space sounds with mysterious elements. To keep the tension, you can’t determine the sound coming next. Thus you will be able to compose fascinating volatile and varying soundscapes with amazing depth effects – remaining steadily surprising. * Triple tap to open the backside of SoundSpace, reminding you the following functionalities. * Double tap to create or remove a sound at the selected position. * Tap and hold to select and move a sound in space. * Tap, hold and turn the device around the horizontal axis (landscape mode) to adjust the pitch of the selected sound. 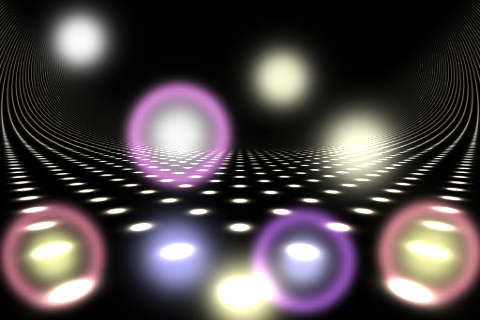 * Soundscape is multitouch enabled, so manipulate as many sounds you like simultaneously. By purchasing this version you support the vision of SoundSpace: Interacting with a space of sound in real-time while performing a composition of sounds in space! Future developments of SoundSpace may include additional options, new soundscapes or advanced functionalities – just depending on your resonance.